In some cases to get the most out of your Social Security benefits, you will need to use something called a restricted application. 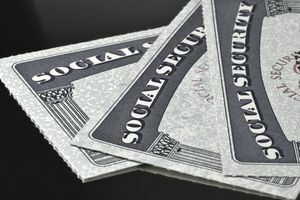 New Social Security rules signed into law on Nov. 2, 2015, have changed the right to file a restricted application for those born on or after January 2, 1954. I cover all the rules below. As there are different types of Social Security benefits you may be eligible for, a restricted application, sometimes referred to as “restricting the scope” of your application, tells the Social Security office that you are not simultaneously applying for all benefits you are eligible for. How might you use these rules to boost your benefits? If you were born on or before January 1, 1954, are currently married, or are divorced and eligible for a benefit on an ex-spouse’s record, once you reach full retirement age (assuming you have NOT yet claimed your benefits) you can use a restricted application to claim a spousal benefit, while letting your own benefit continues to grow. You could then switch to your own higher benefit amount when you reach age 70. A spouse must be full retirement age and born on or before 1/1/1954 to file a restricted application for a spousal benefit only - and must not have already begun their own benefits. A widow/widower, or survivor of a deceased ex-spouse, may file a restricted application even if they have not yet reached full retirement age and regardless of when they were born. A claimant who is caring for a child (under age 16 or disabled adult child) who is entitled to child’s benefits may have the option to restrict the application to spouse’s benefits only even if they have not yet reached their full retirement age. For anyone filing before full retirement age, the rule above remains as it is. A “reduced benefit situation” means you are filing before you reach full retirement age. When you file before you reach full retirement age, if your spouse has already filed for their benefits (in the cases of an ex-spouse they have to have reached age 62, but do not have to have filed yet), you are deemed to be filing for spousal benefits at the same time you file for your own retirement benefits. Filing before full retirement age prevents you from using claiming strategies that might otherwise allow you to later switch between benefits. For those born on or after 1/2/1954, when you file for benefits you will now also be deemed to be filing for all benefits you are eligible for. You will not be able to restrict the scope of your application to only one benefit type unless you are a widow or widower. Those born on or before 1/1/1954, however, can still file a restricted application. If your spouse has not already filed for benefits, you will not be deemed to be applying for a spousal benefit. Later when they subsequently file for their own benefits the deemed filing rules will kick in, and if your spousal benefit turns out to be more than your own benefit each month the additional amount will automatically be paid to you. This means if your spouse or ex-spouse is deceased, and you are eligible for a widow/widower’s benefit on their earnings record, you have greater leeway to restrict the scope of your application, even if you have not yet reached full retirement age and regardless of your date of birth. You might do this to claim a widow benefit for several years while allowing your own benefit to continue to accumulate delayed retirement credits. At age 70 you could then switch over to claiming your own, now larger, benefit amount. I believe in the future this provision above will only be applicable to those who are born on or before 1/1/1954. In addition to item three above there are also special provisions when you are eligible for a disability insurance benefit that may allow you to file for spousal benefits, while not yet applying for your own retirement benefits. It is beyond the scope of this article to go into details about such disability or child benefit strategies, and this author has not yet fully evaluated the implication of the new rules for situations that involve child's benefits or disability benefits. Because the rules are complex, some couples seek the advice of an attorney to advise them on their best claiming options. One reader emailed me because Social Security told them they did not need to use a restricted application. I got a thorough answer from a Social Security law attorney. If you are married, or a widow/widower, a Social Security calculator (online software) can often provide you the type of analysis you need to find the best Social Security approach for your situation. If you have dependents, multiple ex-spouses may be eligible for disability benefits, or have other complexities, the services of an attorney may be appropriate.